My first sighting of a butterfly here in Jammu in 2019. It has been very cold here for a prolonged period and butterflies had disappeared completely. 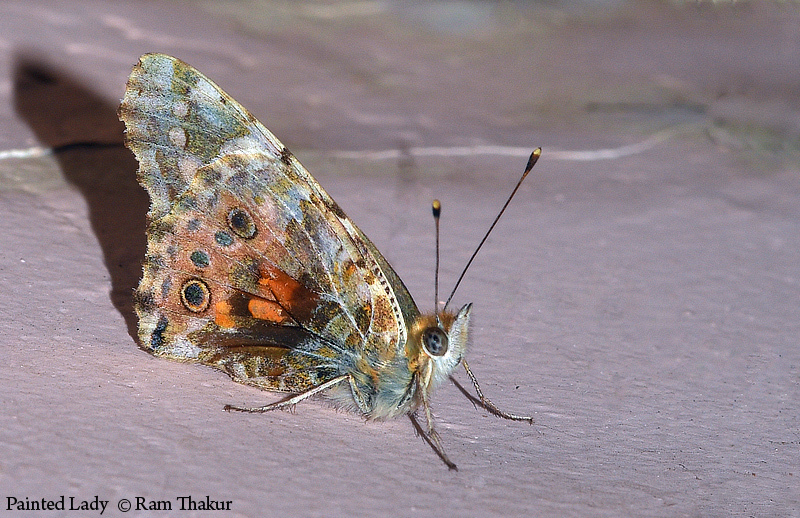 I noticed this Painted Lady perched motionless on a wall of the porch of my house. The place was rather dark and I had to use fill flash to take this picture. The Cynthia group of colourful butterflies, commonly called painted ladies, comprises a sub-genus of the genus Vanessa in the family Nymphalidae. They are well known throughout most of the world. The insect is well placed in the frame. The point of view is showing the details of the Painted Lady butterfly. The light is making the colours to stand out. Have a nice day. Nice image with a lovely specie.